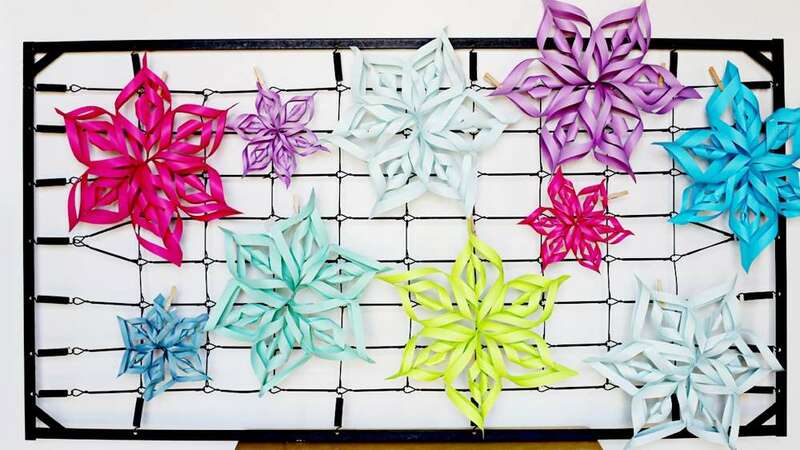 Paper crafting doesn't get much better than this - - these dimensional stars are made from just sheets of paper and Tacky Glue! Super simple to construction and unlimited design colors, you'll be seeing stars over and over for this project. 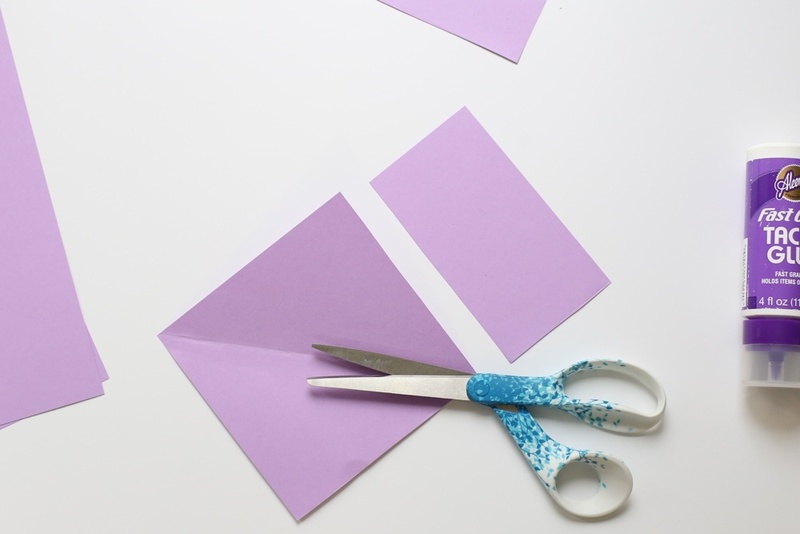 Cut your paper in half. 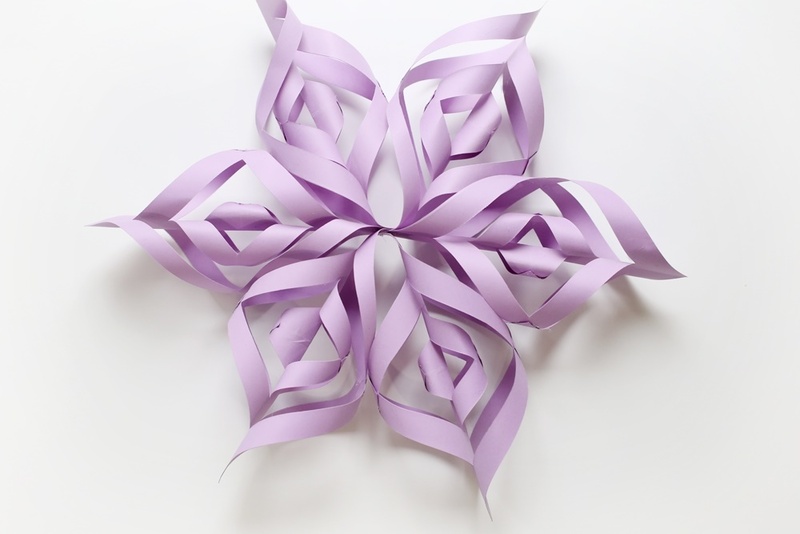 You need 6 sections for each star, so 3 pieces of paper cut in half will make 6 sections. 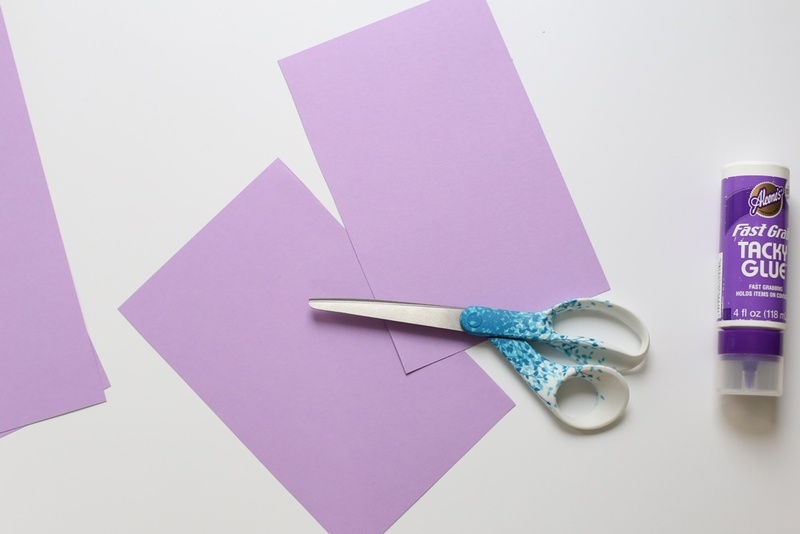 With one half, fold the corner to make a triangle and cut off the excess paper and discard it. You will now have a square piece of paper. 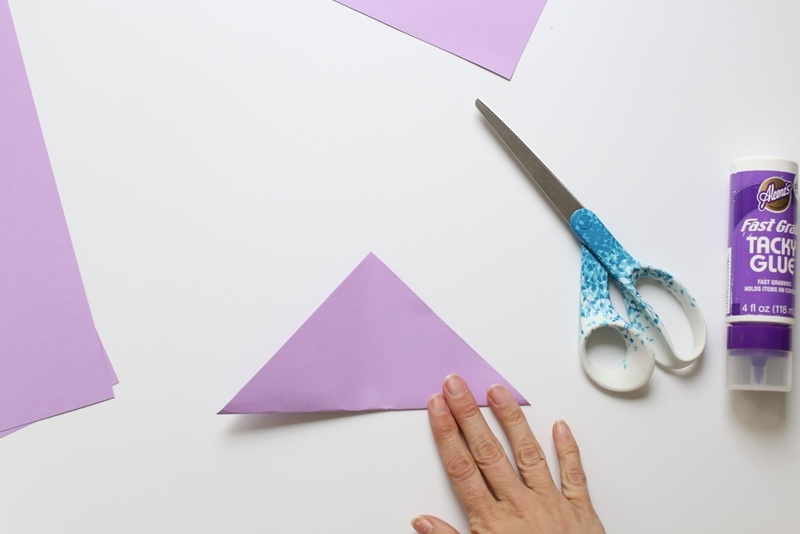 Fold the paper back into a triangle. 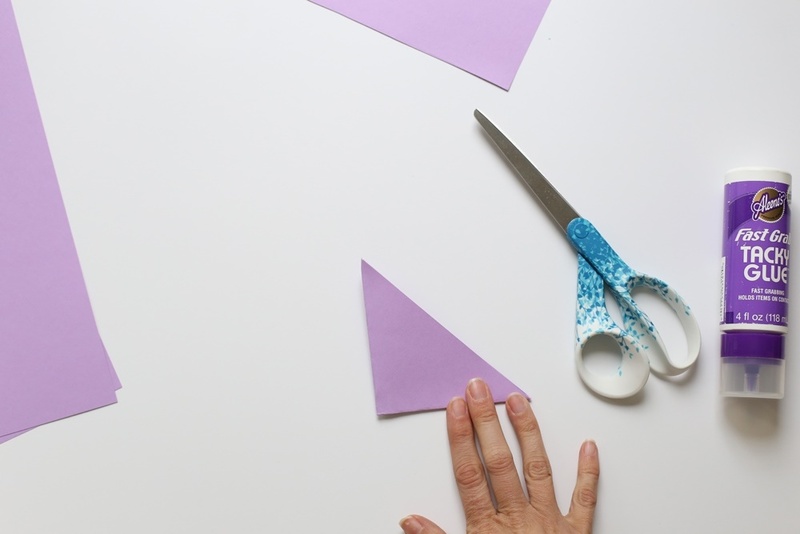 Fold the triangle in half to create a smaller triangle. 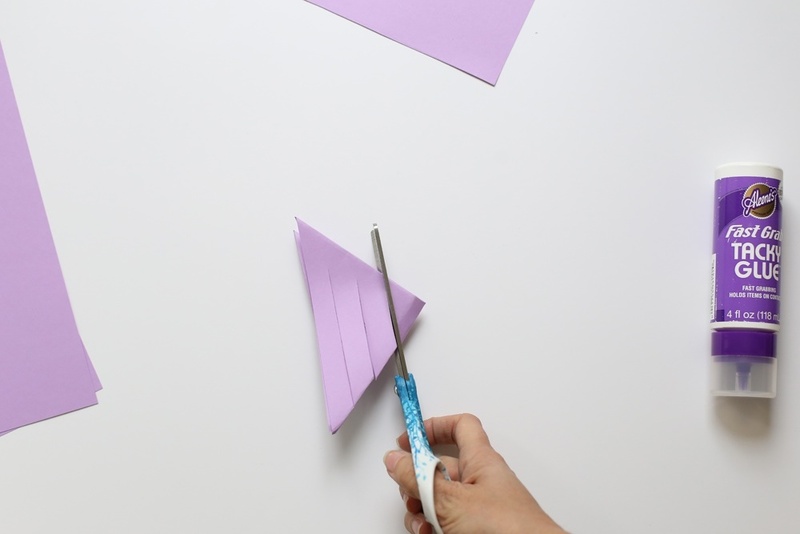 Cut 3 slits PARALLEL to the long side of the triangle, as shown. 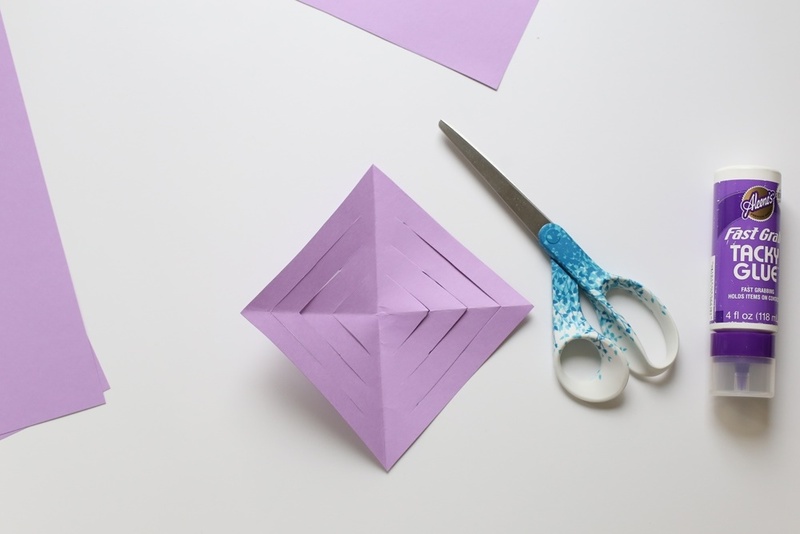 Open your square paper to reveal triangle cut lines. 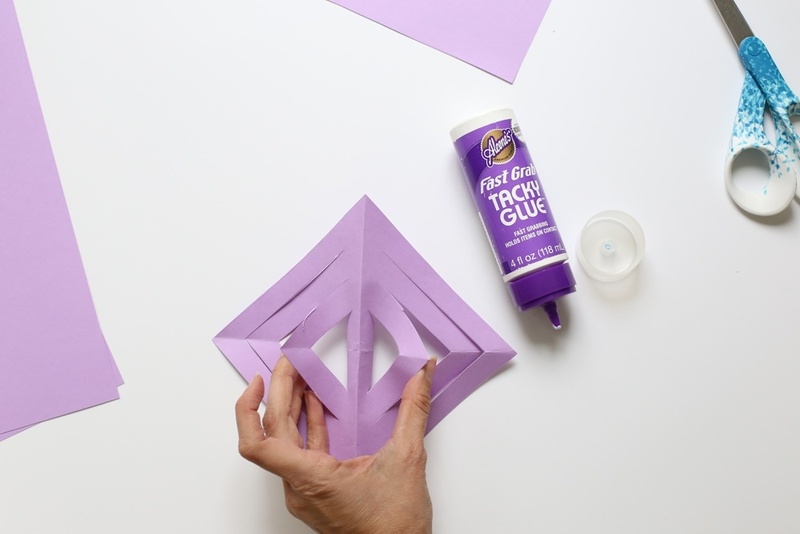 Put Fast Grab Tacky glue onto one corner of the inner triangle. Press it together with the other side of the inner triangle and hold until set. Flip the square piece of paper over. 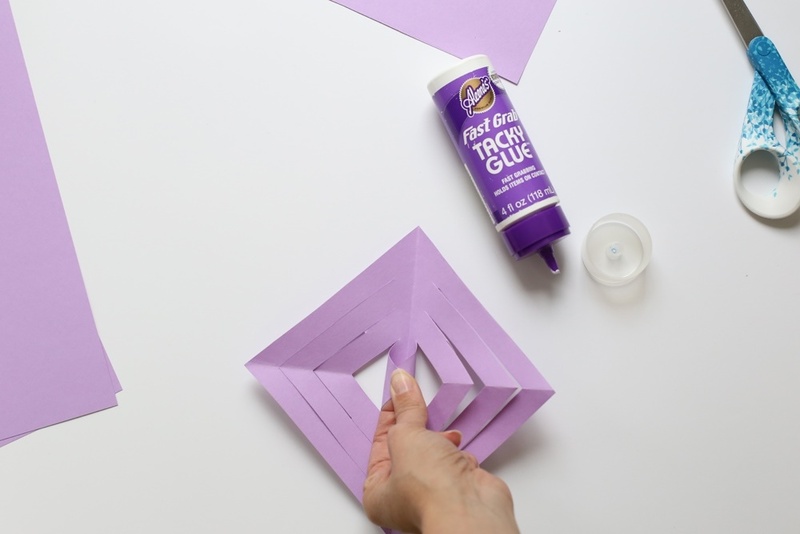 Repeat above gluing steps with the next set of cut triangles. Flip over and repeat until all slits have been glued into place. This completes one section of the star. Repeat until you have made 6 sections. Glue 3 sections together at the base. 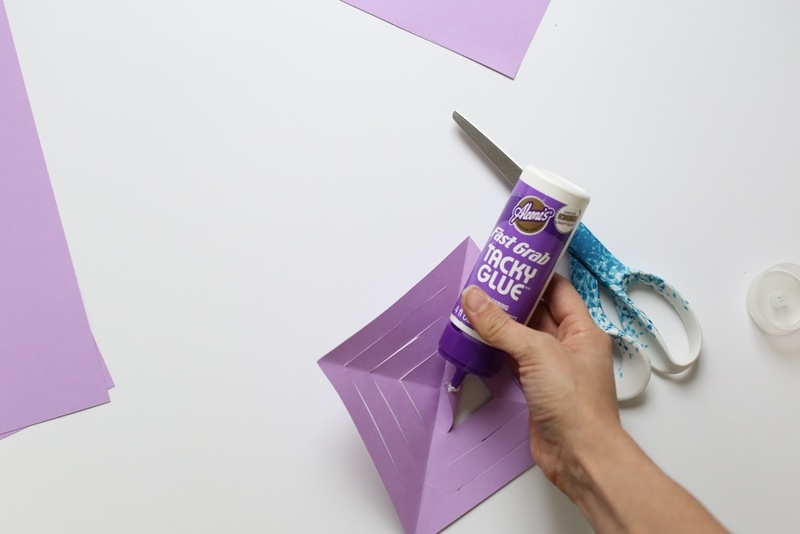 Glue the other 3 sections together at the base. Glue those two halves together to form the entire star.